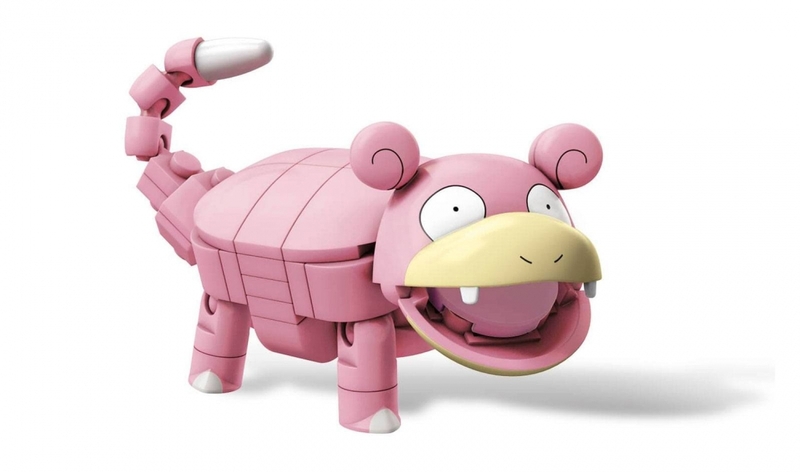 Pokémon Trainers can get psyched for battle with their very own Slowpoke! Build this all-time favorite Pokémon, and set the scene when you build a Water-type environment. 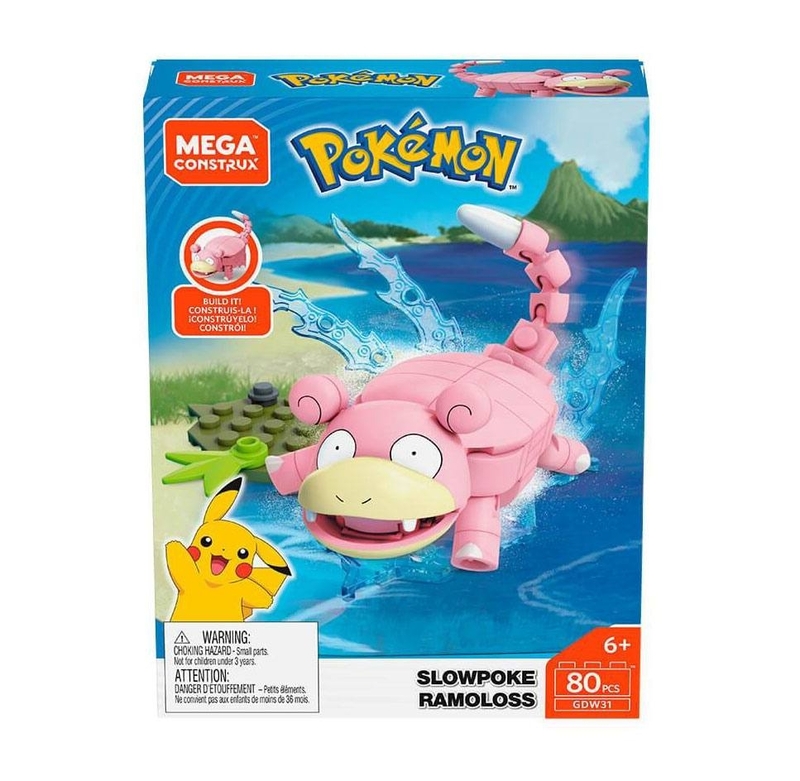 Make a splash when you swing Slowpoke's powerful tail to spray the water around! 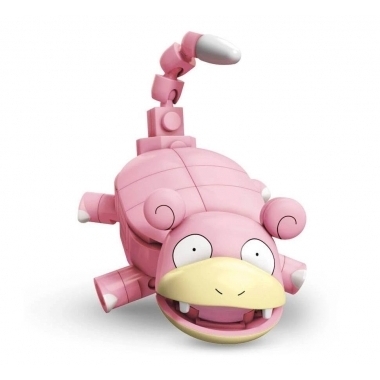 Then take on your next opponent when you add the buildable water effect details to unleash another attack!